WataugaWatch: Okay, Who's Got a Tent? A thousand flowers seem to be blooming from the #FuckYouWashington movement in the Twitterverse (hearty hattip to J.L.). Well, at least one pretty compelling idea: "On September 17, we want to see 20,000 people flood into lower Manhattan, set up tents, kitchens, peaceful barricades and occupy Wall Street ['the financial Gomorrah of America'] for a few months. Once there, we shall incessantly repeat one simple demand in a plurality of voices." ...we demand that Barack Obama ordain a Presidential Commission tasked with ending the influence money has over our representatives in Washington. It's time for DEMOCRACY NOT CORPORATOCRACY, we're doomed without it. This could be the beginning of a whole new social dynamic in America, a step beyond the Tea Party movement, where, instead of being caught helpless by the current power structure, we the people start getting what we want whether it be the dismantling of half the 1,000 military bases America has around the world to the reinstatement of the Glass-Steagall Act or a three strikes and you're out law for corporate criminals. Beginning from one simple demand – a presidential commission to separate money from politics – we start setting the agenda for a new America. The path to our own Tahrir Square? According to Forbes magazine (which views this development with amusement masking alarm), the source of the above expression of resistance to corporate America comes from Kalle Lasn, "editor-in-chief at rabble rousing Vancouver-based magazine Ad Busters." 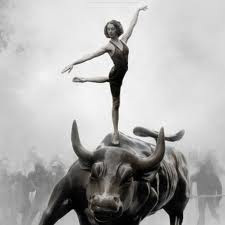 There's now an #OCCUPYWALLSTREET Facebook group (natch! ), and over 1,200 people have already confirmed that they'll be attending. Labels: corporate power, revolution in the U.S.
Whatever we have to do to get the money out of politics, we MUST do it before it is too late. Bwa ha ha ha ha! Thank you for this, JW. I haven't heard anything so worthy of mockery--and at so many different levels--in I don't know how long. As of this a.m. it looks like the GOPers are going to get every thing they want on the budget. Even the Dems' latest bill includes no increased revenues. The only thing they are quibbling about now is how far to kick the can down the road. GOPers want 6 months, Prez wants 18. Guess who will win? This Tweeting campaign is entirely too non-partisan. Republicans have a simple (and totally effective) strategy: Stonewall until you get what you want. Period. It works every time, as Dems cave in all along the line every single time. We will hear lots of pundits asking who will benefit from this but the answer is, the GOP. Obama wanted a "clean vote" on raising the debt limit. No conditions. Republicans, who recognize that Obama has spent this country into a fiscal hole, want to curtail spending as a condition to raising the borrowing limit. Most adults understand that, when spending gets you in trouble, it's time to reduce spending. Are you really this stupid? Exactly how do you think we got into this mess? Let's see-the RR administration doubled the national debt and the W administration again doubled the national debt. But, whereas the RR admin. raised taxes seven times the W admin. lowered taxes on the wealthiest and took the wars off the budget. So who inherited this mess? What this is all about is that the top 1% have managed to steal only 40% of the national wealth and must get a Democratic president out of the way so they can hit their goal of 90%. And they've brainwashed dupes like you to make it happen. Brotherdoc made an astute observation except he got the parties 180 degrees wrong in it. The Republicans did not cave for once and it looks like they won. Hopefully the lesson has been learned.